Providing maximum protection for everyday winter use, the Men's Glacier Bay Texapore High Boot is one of Jack Wolfskin's warmest winter boots. It keeps your feet warm at temperatures down to -30°C thanks to the Nanuk Ultra fleece lining. And the high-cut design provides additional protection from the rain, snow and cold. With an upper made from water-resistant suede and robust fabric, backed with Jack Wolfskin's tried-and-tested Texapore weather protection membrane, the boot is ideal for everyday winter wear and more besides. 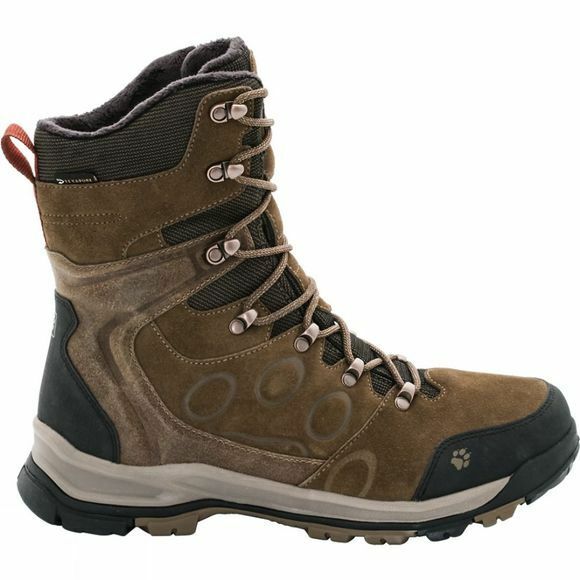 The sturdy, anti-slip Wolf Snow hiking sole and mid-calf upper provide good grip and support on winter walks.